Arizona House Democrats: #KidsCare Passes the House! This is How Change Happens! #KidsCare Passes the House! This is How Change Happens! KidsCare passed a vote in the House of Representatives tonight. This happened largely because Arizonans made their voices heard. 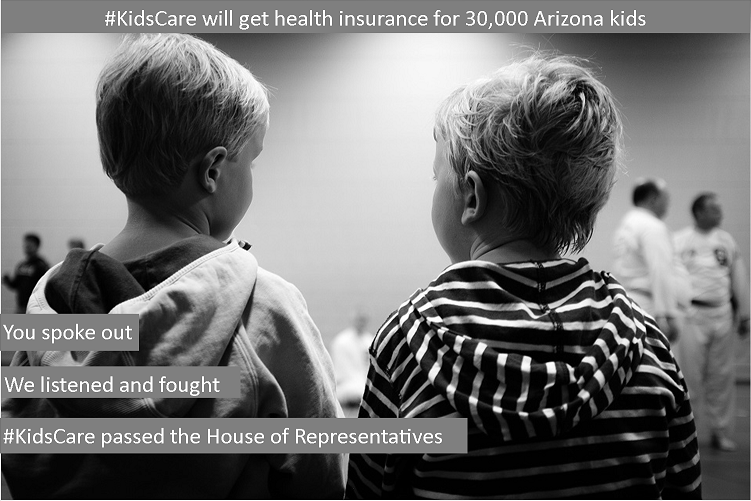 Republicans left #KidsCare out of the budget, but people across the state called and wrote to their legislators and made it perfectly clear – 30,000 Arizona kids deserve access to quality healthcare. Now the bill goes to the Senate, where there will likely be more opposition. Please stay involved – click here to #BeHeard.